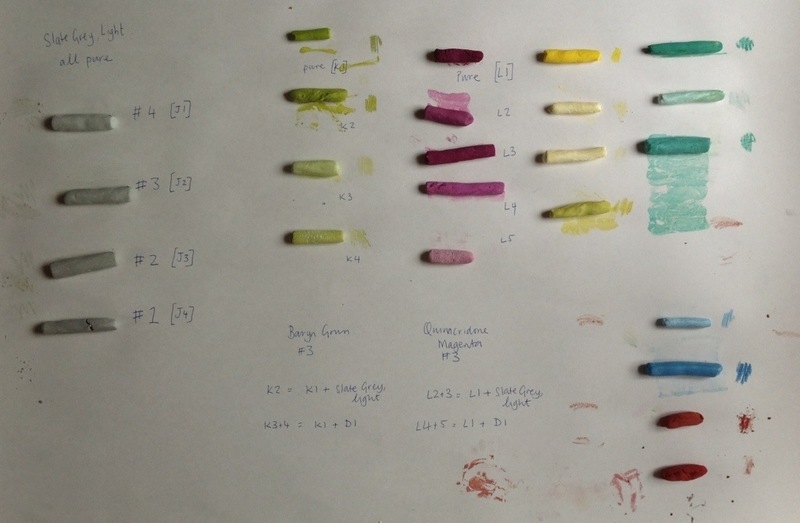 A slightly different post today as I wanted to upload some images of my first batch of pastels, I am looking forward to doing a drawing today with them. 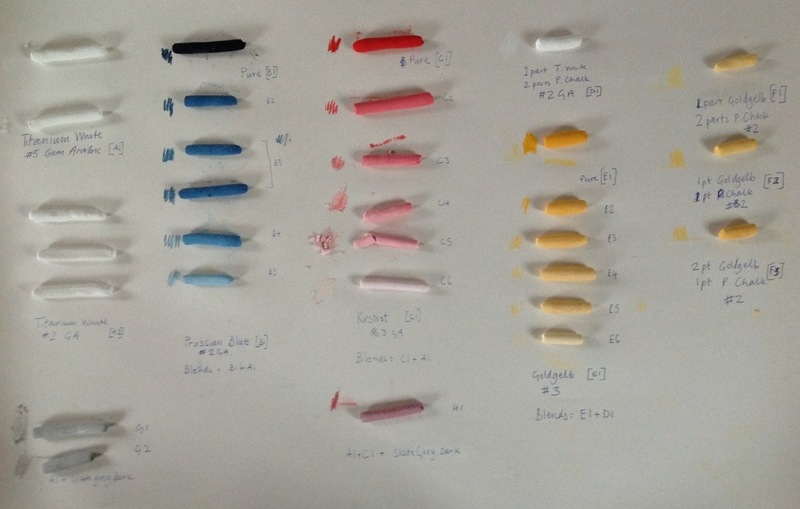 My initial observations are that they are quite cool (cold) to handle compared with shop bought pastels and seem more so the stronger the pigment. I have also uploaded more information about the process itself in more less frequently updated blog blog feel free to have a look if you want to find out more.